Unpredictable Spring Weather, Are You Prepared? | SERVPRO® of Buffalo/Tonawanda Can Help! Finally! Spring is showing itself! We can now enjoy that weather…but we must also buckle up for whatever Mother Nature may choose to throw at us. Spring brings longer days and more sunshine, but it also brings the threat of severe weather throughout the country. It’s dealer’s choice this time of year, which means the weather may change at moment’s notice. The changing weather is caused by the unstable temperatures that can go from warm to cold even in the same day. That temperature change can result in extreme weather changes as well. Thunderstorms are often common throughout spring and are the main cause of severe weather. 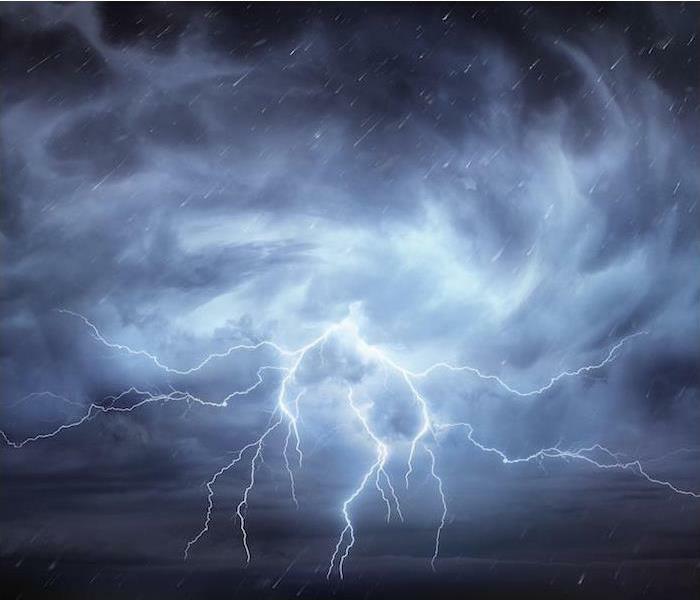 A thunderstorm can occur whenever warm, moist air collides with cool, dry air, which is most common in the spring and summer. Severe thunderstorms were the most common and costliest natural catastrophe losses in the U.S. for 2017. Out of 50 events, there were 85 fatalities and an estimated total of $25.4 billion in overall losses. The threat of flooding, high winds and even tornadoes can result from these storms if the conditions are right. It has been found that in modern history, 10% of all violent tornadoes have occurred in March, with April, May and June. Even though we may not be able to predict the weather with 100% accuracy, forecasters have the tools available to at least give us an idea of severe weather that could be coming. Advanced warnings, along with the right preparation, can greatly improve overall safety for your family. Despite its unpredictability, there is one thing that always remains true of the spring weather season: It always happens. If your home or business is damaged in a storm, you can depend on SERVPRO® of Buffalo/Tonawanda to get the cleanup and restoration process started fast. When disaster strikes your home, time becomes an even more precious commodity. There’s no time to waste when your home or livelihood is on the line—you need help right away. We know how crucial a fast response is, which is why responding faster to any size disaster is more than just a slogan in our world. Time is not a luxury you have regarding disaster cleanup when it’s your belongings or business on the line. This is especially true where water damage has come into play, which can be through various means such as flooding, appliance and/or plumbing failures, storm damage and fire damage, as water is used to put out the fires. Remember, if you need us, we’ll be there—no matter the time or day. The team of highly trained restoration experts at SERVPRO® of Buffalo/Tonawanda are available for emergency cleanup and restoration services 24 hours a day, seven days a week. As a business owner, you have a responsibility to take safety factors into consideration regarding risks to your business, staff and visitors. One of those risks you need to consider and create a plan for is fire prevention. What Can Cause Commercial Structure Fires? Of those causes, intentional, exposure and electrical distribution, and lighting equipment accounted for the most property damage with 20%, 18% and 15% respectively. In 2007, The Bureau of Labor Statistics found that fires and explosions accounted for 3% of all workplace fatalities. In studying more recent numbers, the NFPA estimates that during the period from 2007–2011, U.S. fire departments responded to an average of 3,340 fires involving office properties per year. Those fires were responsible for an annual average of four deaths, 44 injuries and $112 million in direct property damage. There are certain steps you can take to protect your business from fire risk. 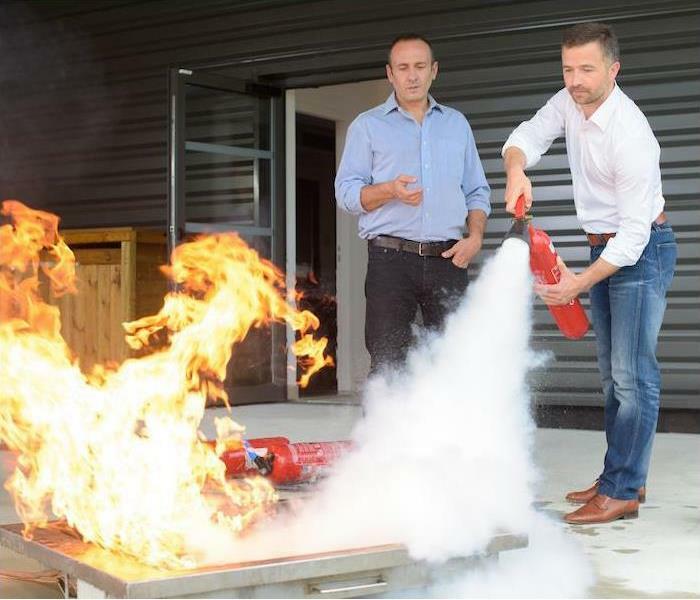 By focusing on fire risk assessment, fire prevention and staff education, you can help reduce the chance of a fire breaking out. The first step to take is to assess the fire hazard risks. Local governments in some areas often offer a visit from the local fire marshal to assist in identifying fire risks and offering guidance and suggestions on your fire prevention plan. Make sure that you have the right fire protection equipment in place. Items to include are an automatic sprinkler system, smoke detectors and fire extinguishers for each floor. Finally, you must make provision for your employees and visitors. By creating a fire plan and reviewing it with your staff, you’ll be making sure everyone knows what to do in the case of a fire. Conduct fire drills at least once a year to keep the fire safety protocol fresh and make time to review evacuation plans and where the first-aid kits are located. Despite best efforts with fire prevention and safety tips, the worst could always happen at your business. If a fire has damaged your business, SERVPRO® of Buffalo/Tonawanda is available to help make it like it never even happened. SERVPRO® of Buffalo - Tonawanda is here to help get the situation under control and make it like it never even happened. Not all water is created equal when it comes to water damage as there are three classifications for it: clean, gray and black. By gaining a better understanding of the different types of water, you will understand how to better handle a water damage situation. You will always have a cleanup and restoration process to go through no matter what type of water has caused damage. However, before cleanup can begin, the most important aspect is removing all of the moisture and damp items quickly, so as not to enable mold to flourish in an ideal environment. 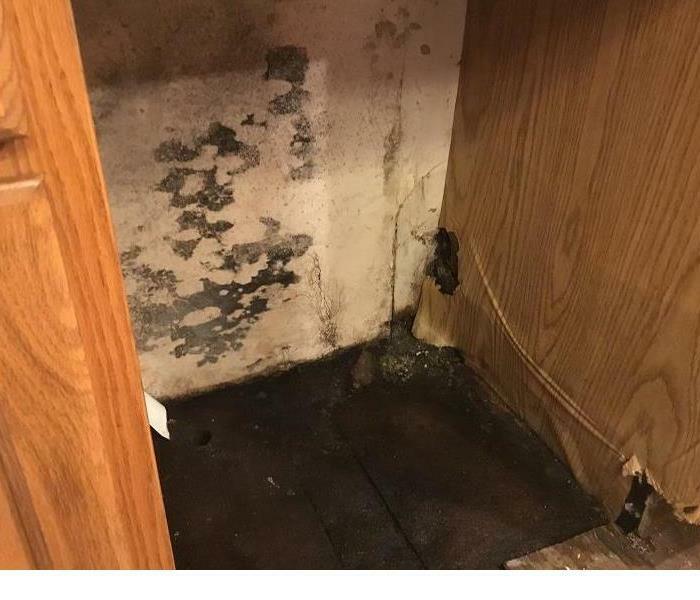 This type of water damage is the easiest type of water damage to deal with, as there will be fewer microbes living in the water, but it can become gray water after 48 hours and after contact with the surfaces of a building, moving it up to category two. Gray water is where water damage cleanup and restoration can become a bit more tricky. It may be water that could pose a health risk, due to it containing chemical or biological contamination. The slight contamination involved with gray water means that it would need to be thoroughly treated before being safe to consume. Gray water is water that comes from dishwashers, aquariums, showers, etc. and, as always, the 48-hour exposure time applies here as well, with gray water turning into black water if not treated. Black water is the most dangerous of the three classifications and is considered to be highly contaminated with harmful chemicals and biological matter. This would include floodwaters containing soil and all sewage waters. Sewage is contaminated with microbes, including bacteria, protozoans, molds, fungi and more—many of which are harmful to humans and create a health hazard. Remember, whenever there is a flood, all waters should be assumed to be black water since it will pick up contaminants along its path. These three classifications of floodwater are recognized by the Institute of Inspection, Cleaning and Remediation Certification (IICRC), which is an organization that certifies and sets the standards for the cleaning and restoration industry. Our technicians have all studied IICRC standards, have learned the best practices in water restoration and are available to help determine the steps to take to get your home back to normal. It doesn’t matter what type of water has caused damage to your home or business, SERVPRO® of Buffalo/Tonawanda is here to help get the situation under control and make it "Like it never even happened." Don’t hesitate to reach out to us if you need emergency cleanup and restoration services! Water damage is one of the most common and costliest disasters your home may experience. Anything from malfunctioning appliances like dishwashers or washing machines to a burst pipe or storm damage can be the cause of water damage in your home. There are plenty of steps to take to protect your home from some trying common water damage scenarios that homeowners deal with. Dealing with water damage is enough of problem, but it can have a long-term impact on your home. Mold usually follows water damage as mold can begin to grow and flourish within 24–48 hours after moisture exposure. When looking for solutions and ways to protect your home from water damage, it can be helpful to break it down by areas of impact, such as basements, kitchens, bathrooms, flooring and ceilings. A way to prevent water damage in the basement is to ensure there is no water seeping in. Do this by resealing vulnerable areas of the basement, making sure water drains away from your home and installing a backwater valve. 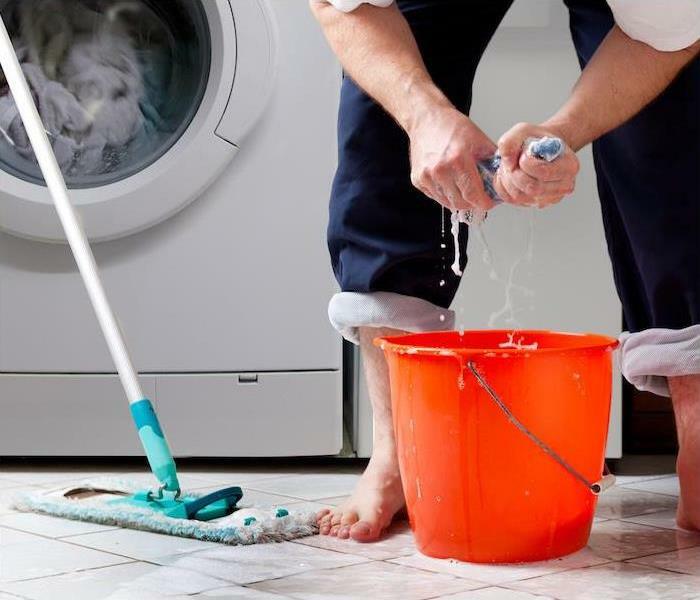 Plumbing issues in the kitchen and bathroom are your usual main causes of water damage, as well as appliance failures. 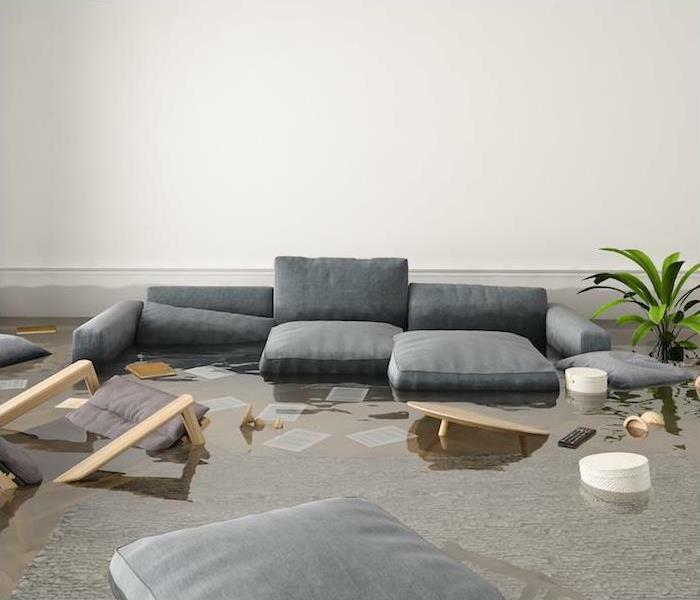 While it’s not always possible to protect your personal possessions from water damage, there are things you can do to at least decrease the amount of destruction. Using waterproof bins and storing items up off of the floor is always recommended when using the basement or garage for storage purposes. “Clean” water such as from rain, condensation, leaky pipes, etc. Gray water like dirty water from dishwashers, washing machines, clean toilets, etc. Black water, which would be water from sewage or serious flooding from nearby rivers, etc. This water can cause serious health problems. Following a water damage disaster, it is important to dry your home out and dehumidify the area, removing wet objects and disinfecting remaining materials as soon as is safely possible. Here’s an interesting pro tip: You can freeze wet books, photos and papers in a frost-free freezer to give you some extra time. This prevents mold and mildew from developing, causing more deterioration. Once you are able, you can remove them from the freezer and air-dry or fan-dry the pages. If a storm does cause damage to your home or business, don’t hesitate to call your friends at SERVPRO® of Buffalo/ Tonawanda. There are times when we can be caught by surprise when severe weather strikes even though there are warning systems in place. Fortunately, when Mother Nature manages to catch us off-guard, there are steps you can take and safety tips to follow that will ensure your family is prepared for various severe weather occurrences. One of the best ways to stay safe during dangerous weather situations is to have an established family emergency plan ready. It is important to discuss and practice your family emergency plan if your family does have one in place. Also, be sure to discuss and review it at the beginning of various weather seasons so everyone knows exactly what to do. 1. How Are You Receiving Emergency Alerts? 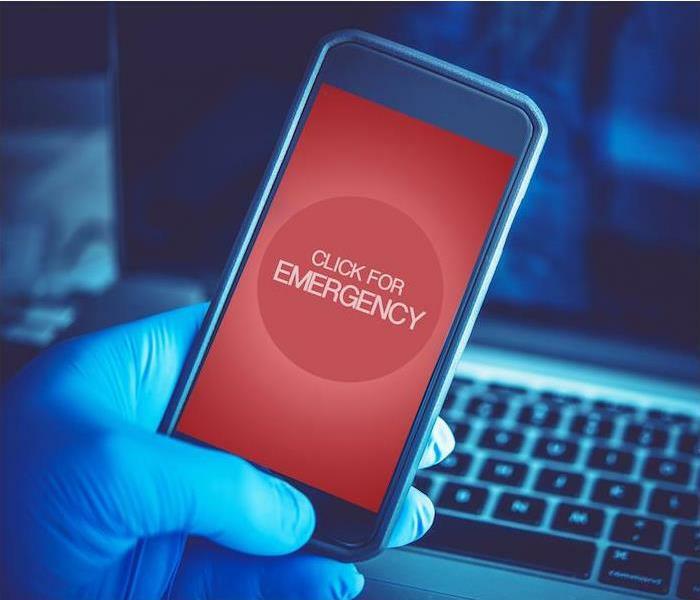 We are fortunate to have technology available to us where it is easy to receive emergency alerts and warnings on our smartphones that are equipped with a weather app or Google for alerts and warnings to quickly receive emergency alerts, allowing you precious time to react in severe weather situations. But cell phones need a signal and power, and herein lies the problem. Storms can wreak havoc with cell towers, and cell phone batteries will eventually die and with no power you will not be able to charge them. Warnings and alerts are also still broadcast over radio and TV. In areas where tornadoes are common, you’ll want to be in the lowest part of your home, preferably a basement if you have one. If that is not possible, find an interior room on the lowest level out of the way from corners, windows, doors and outside walls. Tornadoes aren’t the circumstance that call for sheltering. You can learn more about other situations that call for shelters by visiting ready.gov. Make a map that has multiple routes mapped out that will serve as an evacuation route, keeping in mind that hurricanes, flooding and fires can force you from your home in a hurry. Why multiple routes? That would be just in case one is impassible. Also check for places to stay with your pets along the way for your furry family members that will be evacuating with you. 4. How Will Everyone Stay in Touch? During storms, cell towers can sustain damage, rendering them useless, so it is not the best idea to rely solely on cell phones to keep in touch with your family. In some circumstances, cell phones could be lost or left behind, and you will be unable to charge the batteries when there is no power to recharge them. You will need an emergency communication plan in place for your family, as well as a safe meeting place for your family to meet if separated. If a storm does cause damage to your home or business, don’t hesitate to call your friends at SERVPRO® of Buffalo/ Tonawanda to get the cleanup and restoration process started. Don't let your Buffalo home become infested with mold, act now! How often do you move your dishwasher out to inspect behind it for possible water damage? Not to often, right. This photo illustrates what could be larking behind your appliances that had a small leak for a period of time. For most cases when a dishwasher begins to have a leak it will be a slow drip beneath or behind the unit causing the floor to become saturate, rotting or mold to develop. What to do when you discover a leak in your dishwasher that caused possible water damage? Contact your insurance office to assess information about filing a claim or coverage. Commercial water damage surprises Buffalo business owners every time it happens. Everyone knows that the sprinkler system is there to stop fire damage, but no one understands the damage that happens when it engages. Fortunately, SERVPRO has the experience, training, and equipment to restore an office or a kitchen back to their original state. Sprinklers soak everything, that is what they are supposed to do to prevent the spread of fire. Paper documents, cardboard storage boxes, and books quickly turn to a mush and must be thrown out. 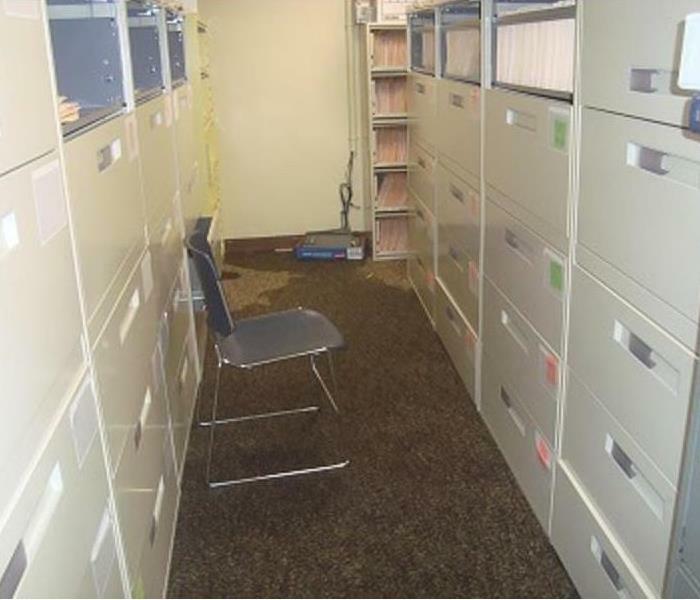 If the final condition is not an issue and the business owner needs to keep original contracts, we can preserve the legibility of our technicians can get them spread out on a dry surface. We use air movers to blow warm, dry air over the paper gently and while we cannot return the items to their original condition or look, we can preserve the image in many cases. The item that usually catches the most damage next is the carpet. SERVPRO technicians use extraction wands to draw out water without damaging the nape of the carpet. If there is a carpet pad, we remove and dispose of it. Pads quickly deteriorate when they become wet, and they are cheaper to replace rather than attempt to restore. Once we remove the water, crew members use the air movers again to force warm, dry air across the surface to dry it out while preventing mold. The very idea of mold can make any home or business owner cringe. Yes, mold can be beneficial, used in making brie or penicillin, but it can also be a really big problem when it is growing undetected somewhere on your property or belongings. It can grow just about anywhere: on clothing, food, paper, carpet and the backside of drywall, just to name a few spots. It can produce allergens and irritants, and in some cases, toxins that are dangerous to your health. Do an audit of your property. Are there any areas that are full of moisture much of the time? Seepage into storage areas or accumulation from leaky pipes should be dried within 48 hours to avoid mold damage. Encourage workers to keep wet items picked up, hanging wet coats up and keeping rain boots and wet shoes in an area that won’t soak up moisture. Take steps to keep floors and windows dry at all times, but especially during wet weather. Proper ventilation is a good way to keep mold at bay. Keeping bathroom and kitchen doors open can help, increasing air circulation and aiding in the drying process. Using dehumidifiers keeps areas dry and pleasant, and always keep an eye on them to make sure they are in good repair and not contributing any moisture themselves; the manufacturer’s information provided will give directions on cleaning and care of your unit. Many products today contain mold-resistant materials, such as dry wall or paint. Shop around for helpful products when doing any renovation or repair to your Belle Meade business, especially in areas that will experience moisture, such as kitchens, break rooms, and bathrooms. Monitoring the humidity indoors in your business can go a long way to mold prevention. The EPA recommends keeping indoor humidity between 30 and 60 percent; you can measure this with a moisture meter easily found at your local hardware store. Call SERVPRO of Buffalo-Tonawanda for all your water or fire damage needs, or if you need assistance with mold prevention or remediation! We’re here for you! 716-694-9949. We’re not going to kid you. Fire damage restoration is tough work. People call SERVPRO of Buffalo-Tonawanda frequently to ask for advice on how to clean up after a fire. Here are seven of the best tips we give people who ask about fire damage restoration. Most people can put these tips into practice. But remember that fire damage restoration takes time, work, and skill. Realistically consider whether you want to try these ideas on your own or whether you’d be better off hiring highly trained restoration specialists who will guarantee their work. Firefighters are great. They save many a live and many a home. But they do introduce mold and mildew into houses when they must use water to extinguish the fire. SERVPRO of Buffalo-Tonawanda highly recommends you hire fire damage restoration professionals to deal with mold and mildew. Mold and mildew can cause serious health problems. It’s difficult for a nonprofessional to know for certain if he’s clean up all the areas affected by the mold and mildew. And mold and mildew can contaminate your furniture, carpets, clothing, mattresses, walls, and vents. The best thing you can do immediately is to air out every room and clean out all vents and filters. Your floors and carpets end up absorbing the worst of the damage from all the water used to put out a fire. In almost every case, SERVPRO of Buffalo-Tonawanda recommends that you pull up any carpets that have water damage and replace them. 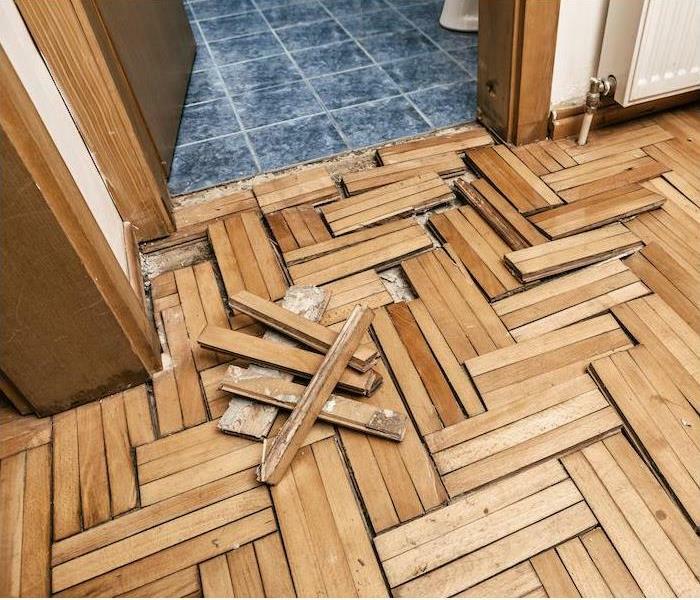 Water can also seep underneath vinyl flooring and into the cracks in hardwood. You must address this. If you have experience with flooring, you can lift it up and clean under it. But you may want to call a professional fire damage restoration company to assist you. Cleaning smoke damage from clothing is one of the biggest jobs you’ll have after a fire. Make sure you don’t smear the greasy soot into the clothing or just throw the smoky clothes into the wash. Often times dry cleaning is the best bet, and you should ask around local dry cleaners to see if any have experience with post-fire laundry. Removing smoke odor is another issue and we’ve covered it in another blog post. 4/19/2019 - Unpredictable Spring Weather, Are You Prepared? | SERVPRO® of Buffalo/Tonawanda Can Help! 10/12/2018 - Don't let your Buffalo home become infested with mold, act now! 10/5/2018 - Restoration after a fire.